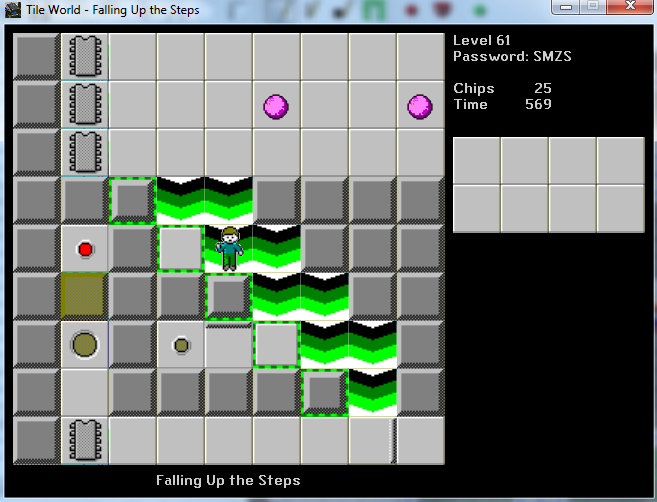 Ajmiam's The Other 100 Tiles v0.630 - Under Construction - CC Zone: The Next Level - Chip's Challenge/Tile World website! Hello everyone! I know it's been a long time since I put a new version of To100T on CCZone, but I've gotten back into level designing lately, and here are 30 new levels for you to play! As always, have fun and report any praise or criticisms (or bugs or busts) in this thread. ajmiam - just FYI, the name of the file is "new concepts v0320 for testing.dat." I'm assuming this isn't intentional, right? Whoops! That's the name of the file on my computer. I thought if I entered a different name on the upload page, it would change the filename people see for download. Guess not...I'll just fix that now. I downloaded and will give some feedback once I played them. The previews there look fun! I love this level, cool concept! I can’t find anything wrong with it. Pluto: Good assortment level. The Gliders on the outside are interesting decoration. Entomed: Again, nice concept and fun to play. Only thing I can say is maybe it’s a bit too lengthy. Dances with tanks is nice, and good title too. It’s maybe too lengthy but then I’m just not personally good at these types of levels. I still like it though. 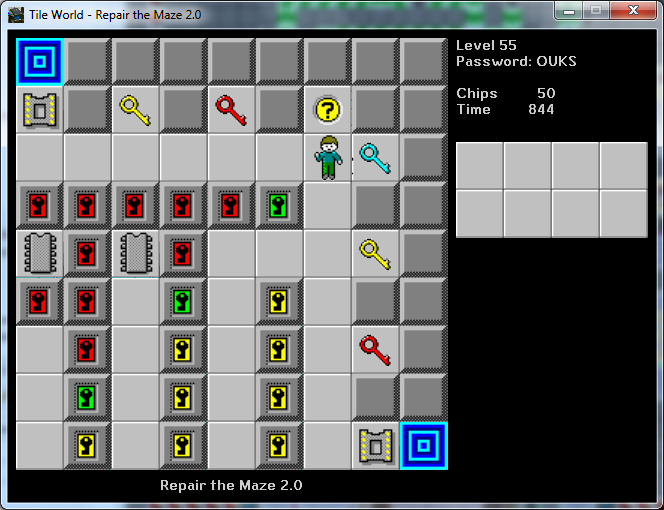 Squeak by: nice level, it’s not too difficult but requires some thought. Force your way through: I like this one a lot. Cool maze idea. Utter Clutter: good design it is a lot of fun to play. Good title too. I didn’t solve it yet however, I’m sort of stuck at the part when you get to the hallway of fireballs and the single bear trap. my favorites were Swapgates, Pneumatic Diversity Vents, Freeway (reminds me of Frogger! ), Corresponding, The Green Virus and One Push Sokobons. I haven’t found any glitches or anything so far, but I haven’t played every single level thoroughly. Pneumatic Diversity Vents was a lot of fun to go through, and I beat it on the first try. I found it wasn’t easy to get stuck. I also love the secret hints. You need to push the block west. I love these levels! They're challenging but never resort to cheap trickery or unneeded skullduggery. They definitely require some amount of experience to play, but they never feel frustrating for the most part, neither are they overly long or contain tons of opportunities for failure or out-of-place challenges that throw players in for a loop at the end - definitely tricky and great for CCLP4.